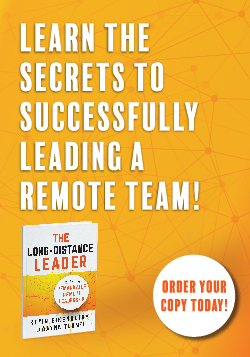 What is the Remote Leadership Institute? We are thought leaders and experts in developing the skills to excel as a leader in the 21st Century workplace. Leading teams made up of teleworkers, subject matter experts and teammates scattered around the country—even the globe—often seems overwhelming. We’re here to help. We are the best source for thought leadership, training and resources to help leaders sell, present and lead people and teams using today’s presentation and communication technology. Drawing from renowned experts in the field like our founders, Kevin Eikenberry and Wayne Turmel, we provide both the cutting edge ideas and timeless truths needed to be successful leaders in a remote and virtual environment. We deliver our training virtually, so that participants truly understand what it’s like to be remote from their teams, and use your organization’s tools to speed up adoption and application of the skills to the real world. How does Virtual Instructor Led Training differ from “webinars”? We are very specific about the terminology we use. The term “webinar” has been around for a while, but it’s basically a mashup of the words “web” and “seminar”. These can range from town-hall meetings to marketing events with hundreds of people in attendance at the same time. That’s not what we do. Are delivered on the platform of your choice. Whether you use Skype for Business, WebEx, Adobe Connect, or some other tool, people will learn better when it’s on the platform they’re familiar with and are expected to use. We also know that when people see a technology demonstrated in the context of their work and use it during learning, it increases the usage back on the job. This enhances the organization’s ROI on its technology purchases. What subjects do you teach and why are they relevant? Leading remote, hybrid and virtual teams is different from traditional team leadership—but not as different as you think. We teach both the timeless management and communication skills leaders have always needed, then blend that with the tools and thinking to maximize collaboration technology and overcome the limitations of time and space. How can we help our people learn these skills? “On-site” virtually delivered workshops. We can deliver any of our programs to your team on your schedule, and on your platform of choice. Video Courses. Check out our self-study video courses. What presentation platform do you use to teach these classes? We believe that learning on the platform people use at work enhances the acceptance of technology and significantly increases application on the job. We are platform neutral, so we can deliver our Virtual Instructor Led Workshops on almost any presentation or webmeeting platform (WebEx, Skype for Business, Adobe Connect, GoToMeeting or almost any other). Our open enrollment public programs are delivered via WebEx Event Center. What is the Remote Leadership Certificate Series and how is it different from the individual courses? Leading remote teams and projects is a mix of traditional leadership skills mixed with new and sometimes confusing technology. After considerable research and client experience, we have curated the top five skills into one series of classes, and offer a certificate of completion at the end to assist organizations in their planning and employee development. Final round table, review and discussion. 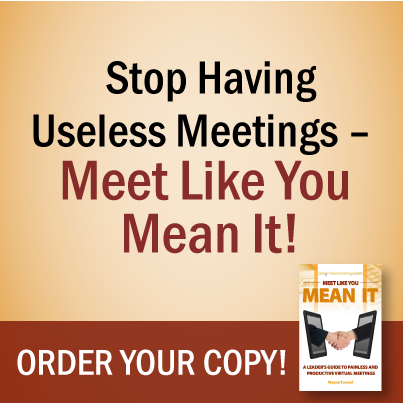 This session is available to individual registration or can be brought in-house and customized for your organization. 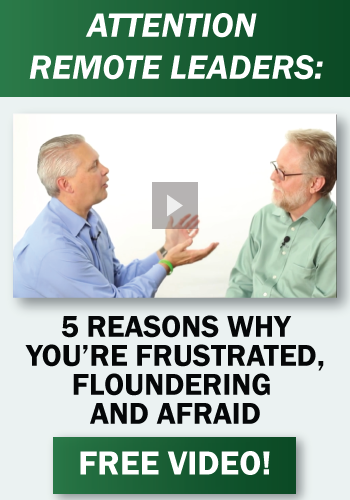 How does the Remote Leadership Institute fit in with the Kevin Eikenberry Group? For over 20 years, Kevin Eikenberry has helped develop leaders. As one of INC Magazine’s top 100 Leadership Experts, his expertise and passion for people is unparalleled. 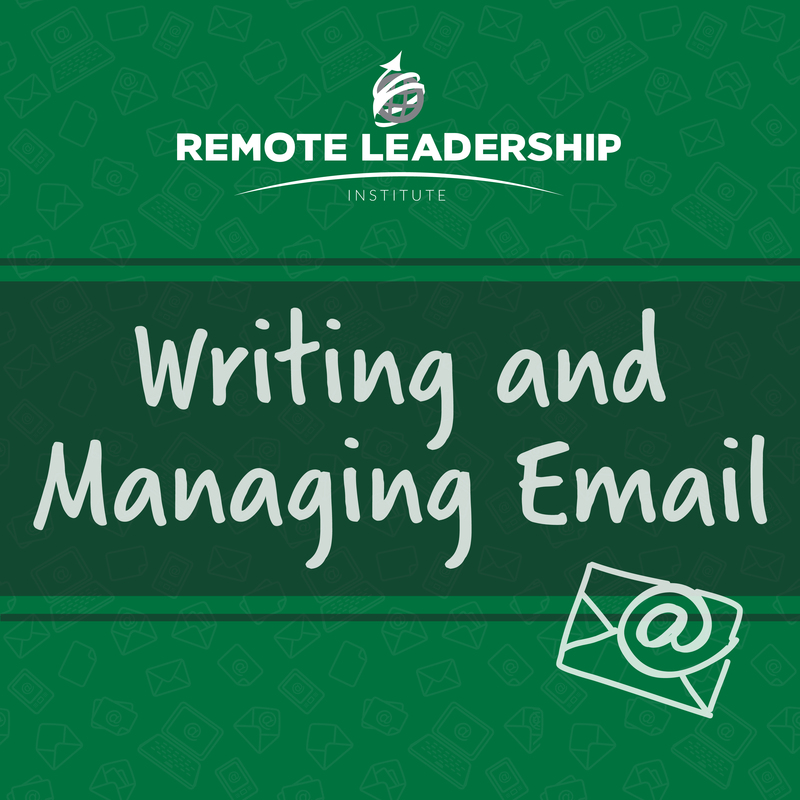 In 2016, he joined with author and business owner Wayne Turmel to form The Remote Leadership Institute. Here, we apply the timeless leadership principles we have always delivered through Remarkable Learning and Bud to Boss, in a new way, aimed at how real people do real work in the 21st Century. While our content is aimed at leaders of remote teams, it carries the DNA of our expertise and history. It also allows our customers access to the full resources of the Kevin Eikenberry Group for elearning, virtual instructor led workshops, in-classroom training and coaching. We believe that no matter how it’s delivered, and no matter what the topic, training is a process, not an event.